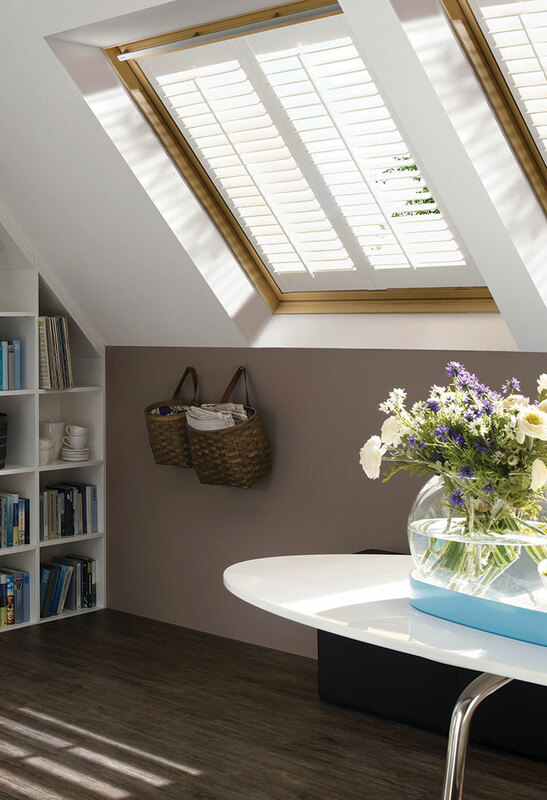 Our made-to-measure skylight plantation shutters are available to order for the most popular skylight windows or we can accommodate any bespoke skylight window too, with our unique design service. Skylight plantation shutters are becoming more popular and stylish due to their luxury appeal, low maintenance, privacy functions and can even save you money on your heating bills. 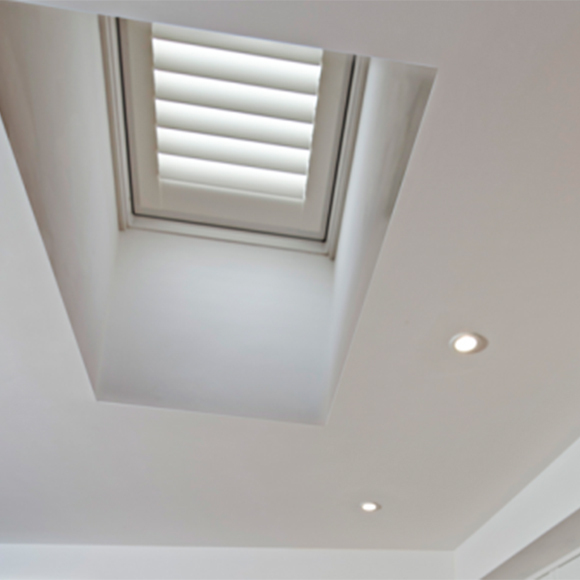 Our range of interior skylight shutters are perfect for Fakro and Velux windows in your Loft conversion or home extension. 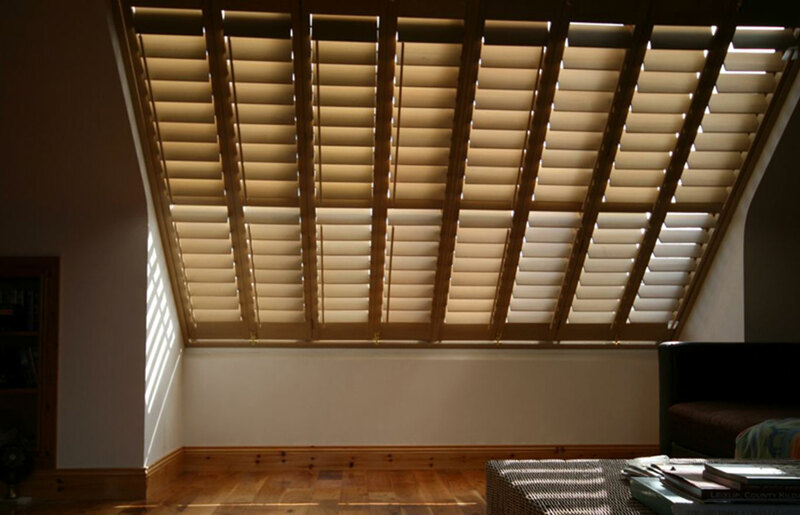 Our skylight plantation shutters are designed so that the shutter panel fits directly to the skylight window. This allow you to open the window with ease controlling light and airflow. Why not upgrade your skylight shutter with a remote control for those hard to reach windows. Our premium quality skylight shutter are manufactured to the highest standards and designed with various customisation options such as wireless control , tilt rods, locks and a wide range of colours and frames.